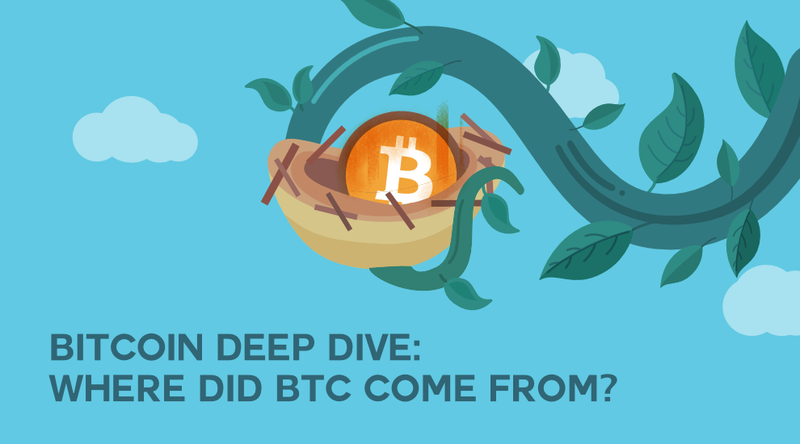 HomeAll Posts...Bitcoin Deep Dive: Where Did BTC Come From? The arrival of Bitcoin into the world was one that can be compared to that of a UFO landing in a cornfield: nobody really knew where it came from and nobody ever thought that it was in existence in the first place, until its release. On August 18th, 2008, the domain name Bitcoin.org was silently registered, and on exactly the 31st of October 2008, two months later, a paper, called Bitcoin: A Peer to Peer Electronic Cash System was released onto a cryptography internet mailing list. This paper, contained the first ever mention of the word Bitcoin and the operational framework behind it. It’s at this point that the creator of this system was named, Satoshi Nakamoto, who has been permanently linked to the cryptocurrency ever since. However, the apparent genius behind the Bitcoin network has managed to keep his identity a secret from the public since day one. Numerous investigations and articles have been published online claiming to have solved the hidden identity of the mysterious Satoshi. However, there has not been any conclusive evidence enough to put the matter to rest. What remains true is the fact that whoever Satoshi Nakamoto is, whether a man, a woman, a group, or even… a machine, he has managed to successfully create an active $200 billion global financial network from scratch. After the first official release of the Bitcoin software in 2009, Satoshi maintained an online presence where he diligently collaborated with other software developers and engineers trying to improve and modify the Bitcoin software. He remained active for two more years until he successfully ended his involvement in Bitcoin in December 2010. He later returned in mid-2011 to announce his exit from the project and to assure everyone that Bitcoin was now in the safe hands of Gavin Andresen to whom he left the network key and the source code. Nobody really knows the real identity of Satoshi Nakamoto. Most cryptocurrency enthusiasts only speculate that Satoshi Nakamoto is a pseudonym used by a group of developers who wished to remain anonymous. However, Satoshi Nakamoto’s online profile as of 2012 had claimed to belong to a 37 year old man who resided in Japan. His profile had the birth date of the 5th of April 1975, which some say was symbolic of the date when gold was confiscated from US citizens, and the year they were allowed to own it again. However, it’s still unconfirmed as to whether he is a man, a woman, a group of individuals, or perhaps even a machine. There have been many speculations about the true identity of the real Satoshi Nakamoto. In fact, a few individuals have actually gone to the extent of claiming to be the real Satoshi Nakamoto, which have ended up with a few consequences that caused them to withdraw their sentiments. Others have been speculated by the cryptocurrency community to be the actual creators of the Bitcoin due to a few coincidences here and there. However, these characters have actively denied being the real creators of Bitcoin. Therefore, up to date, Satoshi Nakamoto remains mysterious as none of these claims can be fully verified. Below we take a look at some of these individuals and the reasons why each one could possibly be the real creator of Bitcoin. In December 2013, an internet researcher and blogger by the name Skye Grey, used reverse textual analysis to identify and link Nick Szabo as the writer of the Bitcoin whitepaper. There were many unique texts and phrases that linked his work on Bit Gold with Bitcoin’s whitepaper. Nick is a well-known digital currency enthusiast and had previously written a whitepaper on Bit Gold which many claimed was a precursor to the release of Bitcoin. Also, there were claims that Nick was an avid user of pseudonyms in the 1990s. Another financial author and researcher by the name Dominic Frisby had also speculated that Nick was the only person who had the expertise, knowledge, and capability to be able to create Bitcoin. However, Nick has denied these claims and even went to the extent of emailing Frisby on July 2014 to clarify that he is not Satoshi Nakamoto. Craig Steven Wright is an Australian entrepreneur and academic who claimed to be the original Satoshi Nakamoto. In November 2015, an anonymous email was found that claimed that Craig was the original creator of Bitcoin. The writer of the email had also claimed that he had worked for Craig. Soon after this claim was verified by Wired, the Australian Federal Police raided Craig’s home. The police claimed that the raid was in no way connected to the fact that Wright was verified as Bitcoin’s creator. Craig afterwards deleted all his online socials and only came back in May 2016 where he claimed to be Bitcoin’s creator on Twitter. Craig also claimed that he had the proof to back up his statement. 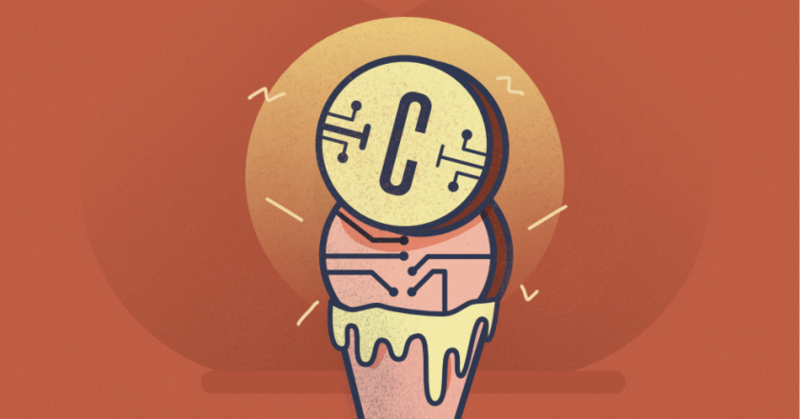 However, when the wave of skepticism was too much to handle, Craig retracted his earlier statement and did not get the chance to provide the undeniable proof he had, citing that he was not courageous enough to prove his identity as Satoshi Nakamoto. Dorian Prentice Satoshi Nakamoto was another possibility as the real Bitcoin creator. His name was dragged into the limelight when journalist Leah McGrath Goodman published an exclusive in the Newsweek Magazine on the 6th of March 2014. Leah pointed out his training at the Cal Poly University in Pomona as a physicist and his libertarian lifestyle as clear pointers to his identity as the real Satoshi Nakamoto. Dorian’s response to an answer that Leah asked concerning Bitcoin created a mass frenzy when he replied that he was no longer in the matter and that he had left the matter to others. He also said that he had no connection in it any longer. This led to reporters camping outside his home and even leading to a car chase as Dorian left the house for an interview. During the interview he clarified that he had misunderstood the question and thought that Leah had asked him about his past military involvement as a private military contractor which he termed as classified. He confirmed that he had no prior involvement in Bitcoin and did not know about it. Hal was born on the 4th of May 1956 and unfortunately died on the 28th of August 2014. He was a Bitcoin pioneer and the second person to use the Bitcoin software after Satoshi Nakamoto himself. He was also the first person to facilitate the first digital currency transaction when Satoshi sent him ten Bitcoins as a test. Finney was in constant collaboration with Satoshi Nakamoto to be able to improve the Bitcoin software. According to Journalist Andy Greenberg, Finney lived a few blocks away from Dorian Nakamoto’s family home and therefore, may have used Dorian’s identity to hide his true identity online. However, when Greenberg had finally seen the back and forth emails between Satoshi and Finney, he was convinced that Finney was not the creator of Bitcoin. There is still speculation that he may have been Satoshi’s writer for the whitepaper. At the time of his death, there was only circumstantial evidence linking him to Bitcoin. Elon Musk has also been a candidate for the position of Bitcoin’s creator too. However, he has fiercely denied these claims both online and in interviews. Elon is co-founder of PayPal and CEO of Tesla.inc. He is also extremely good at economics and programming which made a lot of people suspect him. There are also several claims that Bitcoin was created by a rogue AI that has plans to dominate the world in the future. To support this theory, a leading internet security researcher known as Dan Kaminsky, tried to hack into the Bitcoin system in 2011. He successfully identified 9 weak points through which he could exploit and attack the system. However, each time he tried to, he got a message that said ‘attack removed’. This baffled him and he claimed that the Bitcoin developer must have had very high programming skills to have anticipated such attacks. It is speculated by some that the Bitcoin network was created by an AI system. The identity of Satoshi Nakamoto has managed to remain unknown up to this day. The world has not been able to clarify who he is. Just as the name Satoshi Nakamoto is pegged to Bitcoin, so are our DinarCoins pegged to the gold spot price. 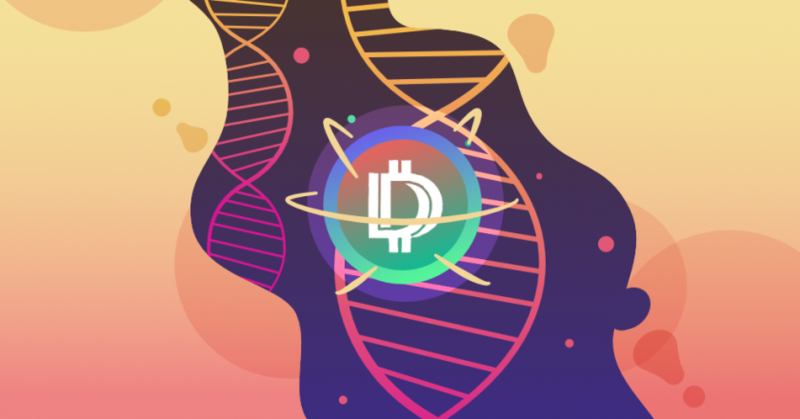 And unlike Bitcoin, our DinarCoins enjoy the same price stability as gold, ensuring that your crypto-assets remain safe for the long-term.